‘Bridging Divides with EY’; a community, school-based initiative using rugby as a medium to help address challenges in society. 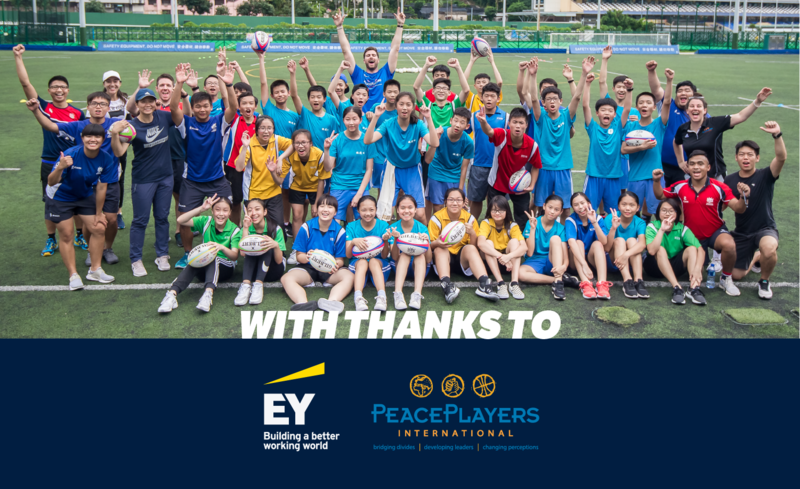 With support from international NGO PeacePlayers International and backing from EY, the HKRUCF have developed a programme focused on building understanding and friendship between youngsters from Chinese and ethnic minority backgrounds, and between Hong Kong and Mainland youth. Following the pilot scheme over the Summer, the programme will take place in six schools between September 2018 and April 2019. The schools were selected based on their band and percentage of international students, especially non-ethnic Chinese students. Strategic twinning of these schools creates opportunities for students to interact outside of their day-to-day social circles, giving them a chance to meet and interact with students with different cultural, ethnic and religious backgrounds. We hope to provide a platform for participants to learn new things, challenge stereotypes and improve their ability to understand and accept others’ views and beliefs. In particular, we are most excited to integrate Songgang Experimental School into the programme, the first time we are heading ‘across the border’ to Shenzhen, looking to ‘bridge the divide’ between Hong Kong and mainland students. 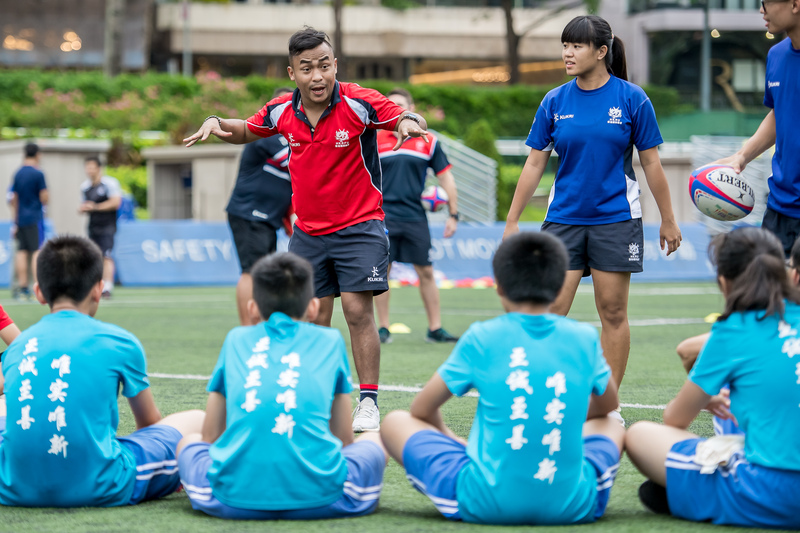 The Songgang Experimental School is one of our most dedicated rugby schools, resulting in numerous tours to Hong Kong and participation in HKRU local school competitions and exchange programmes. This school is the perfect fit for Bridging Divides with EY, aiming to strengthen the camaraderie between pupils on either side of the border.